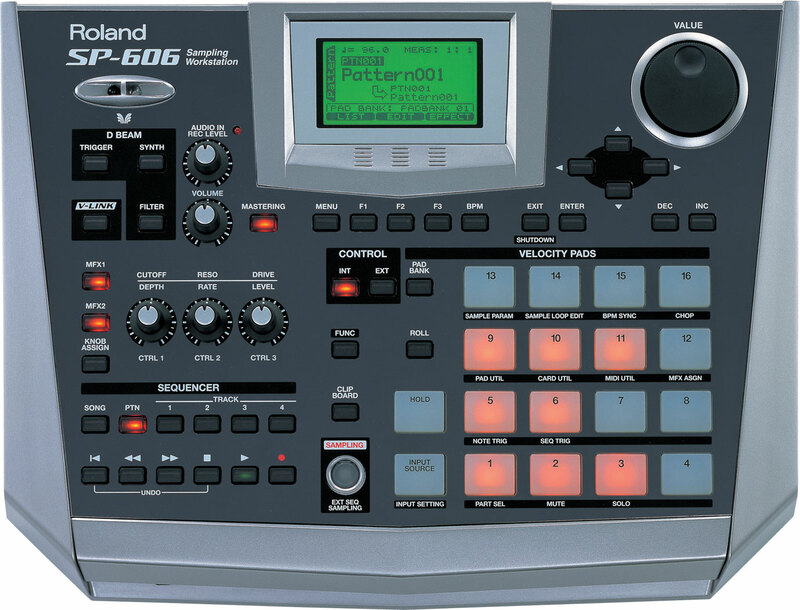 The Roland SP606 is the last in the series like the 202, 303,404, and 505 but there are some great improvements. First we turn the SP606 around and checkout the back, and see what cables we need to set it up. So get your USB , MIDI, and 1/4 inch audio ready and if you need to keep it low get those headphones out. Next we look at the front, we checkout the D-Beam that's on other Roland machines , like the fantom, it sends a beam of light and when your hand passes over it you can trigger any sound you select. In we explain how each button works and explain how the software works with the buttons this will make it easier for you to understand and use the SP606. Next we make up a beat to show you how easy it is to program a sequence, we use the sounds and built-in loops, to create, and copy, the pattern. When ever you make up a pattern you might want to edit some parts out so we go thru the process to do the edit. Then we go right to sampling we pull out a sample kings CD and sample a beat to edit and loop.